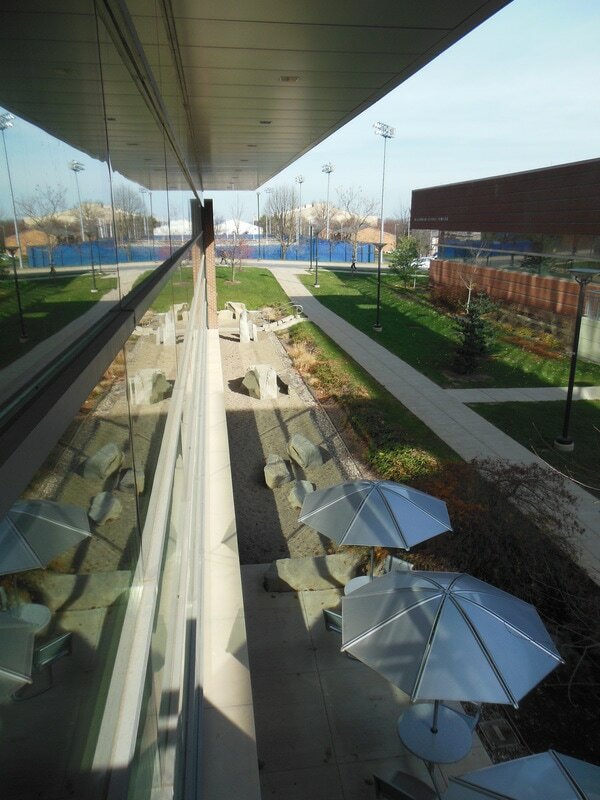 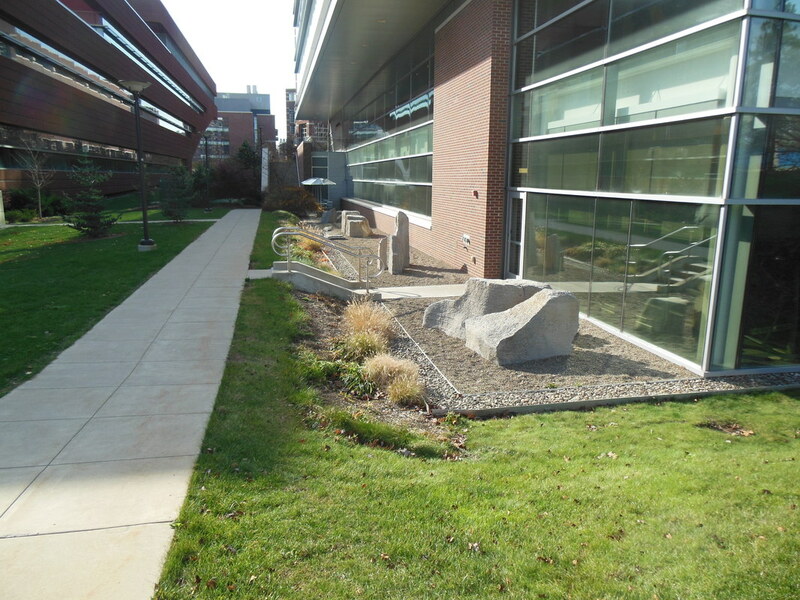 Large overhangs have become common in modern architecture which are often challenging because the areas are often too large and expensive to install pavement and are inhospitable to plants. 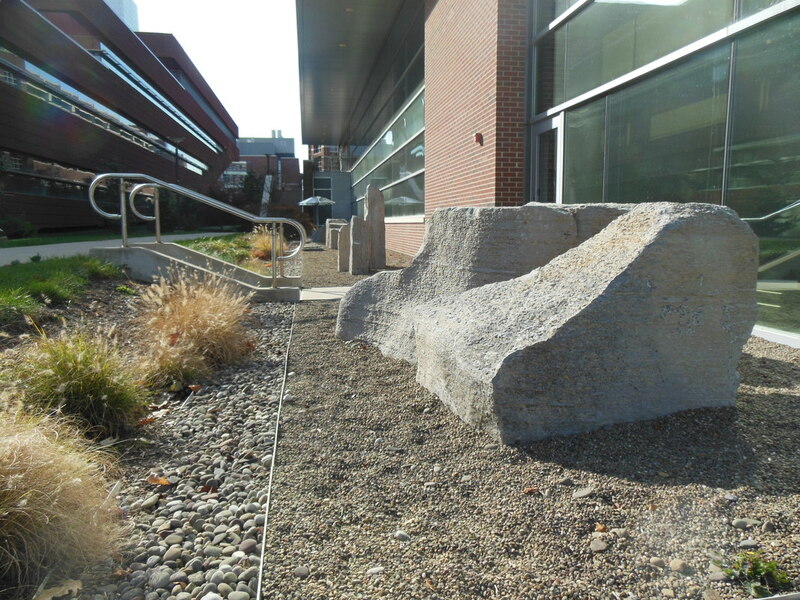 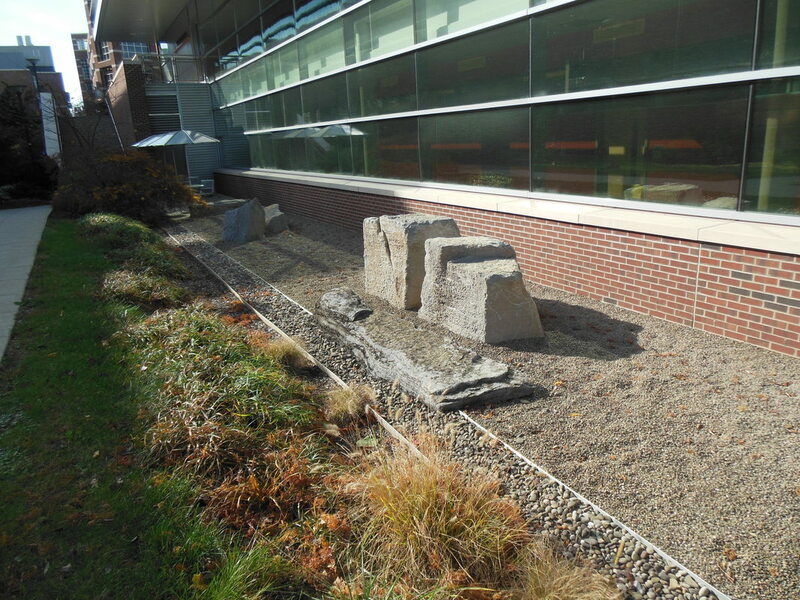 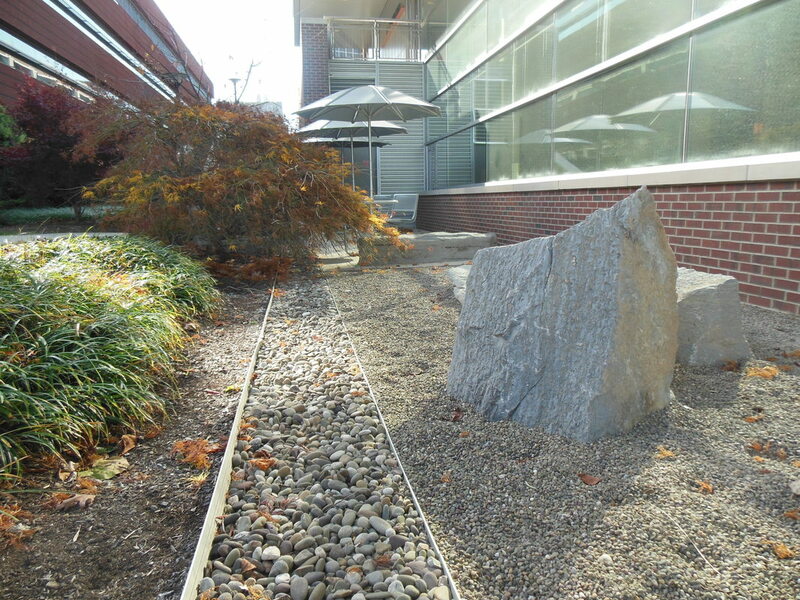 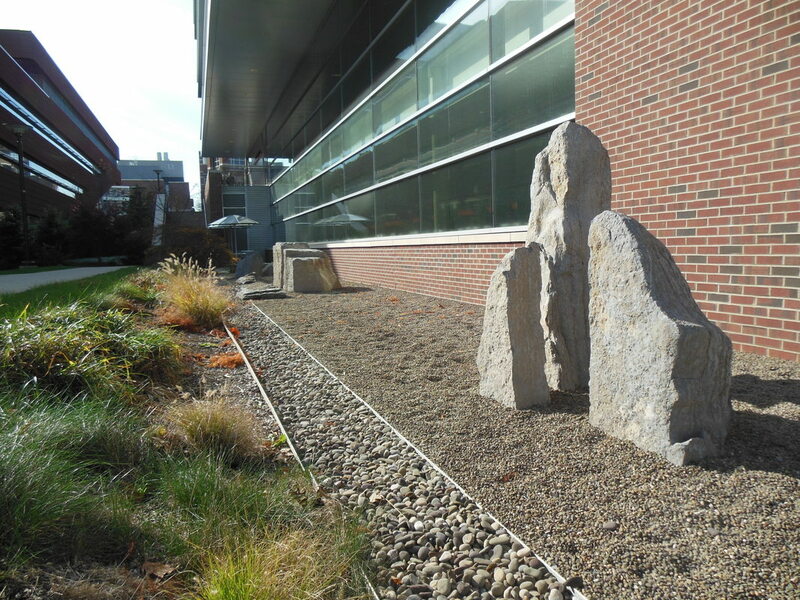 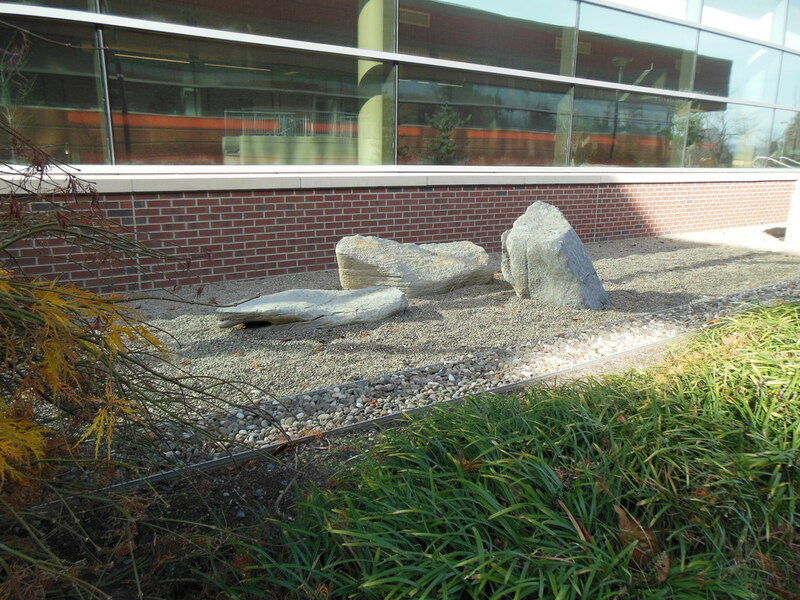 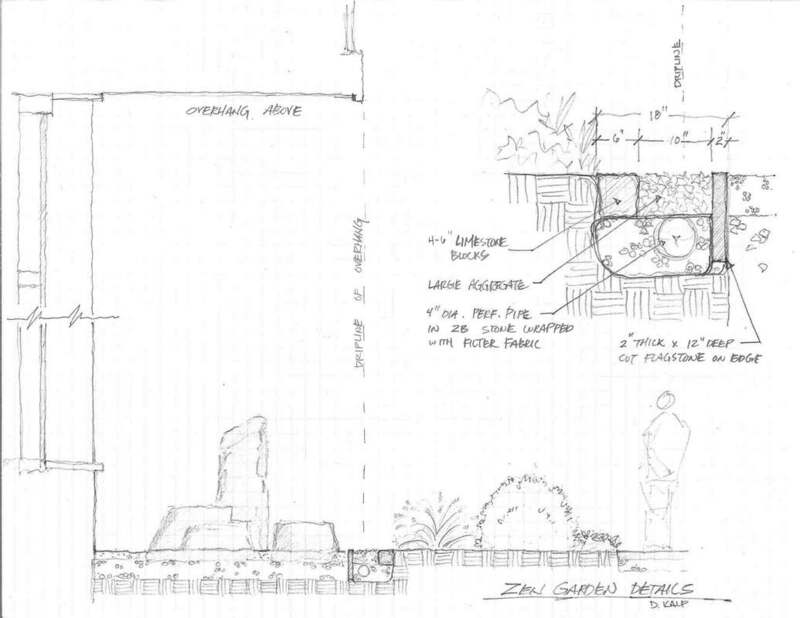 The solution here was a contemplative rock garden that provided meditative opportunities for staff and patients that aligned with the mission of the facility. 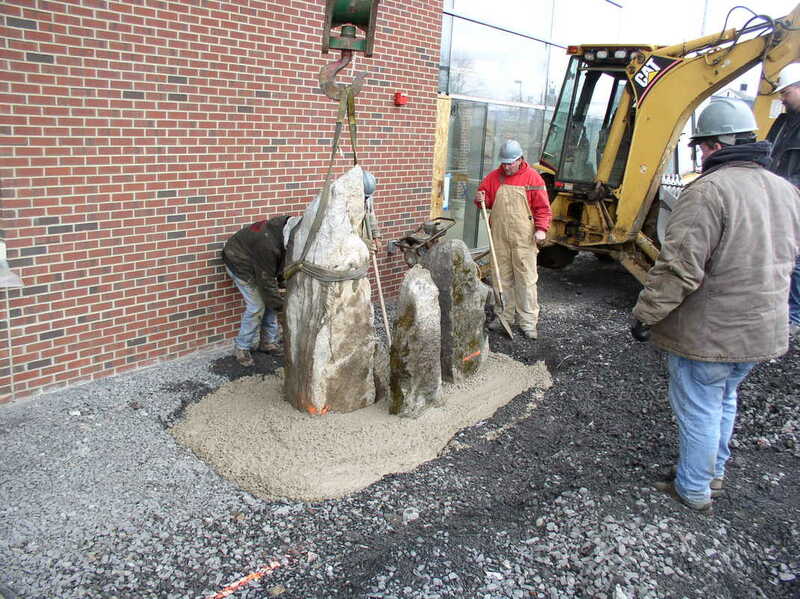 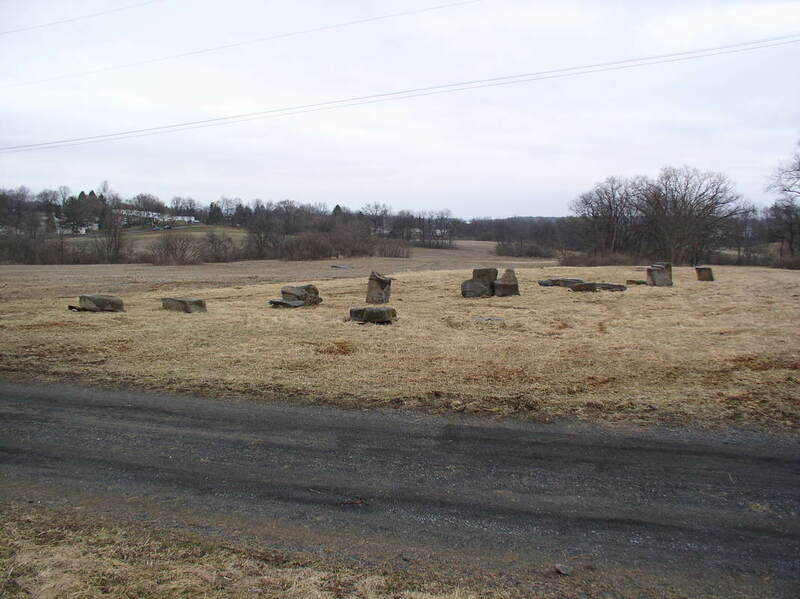 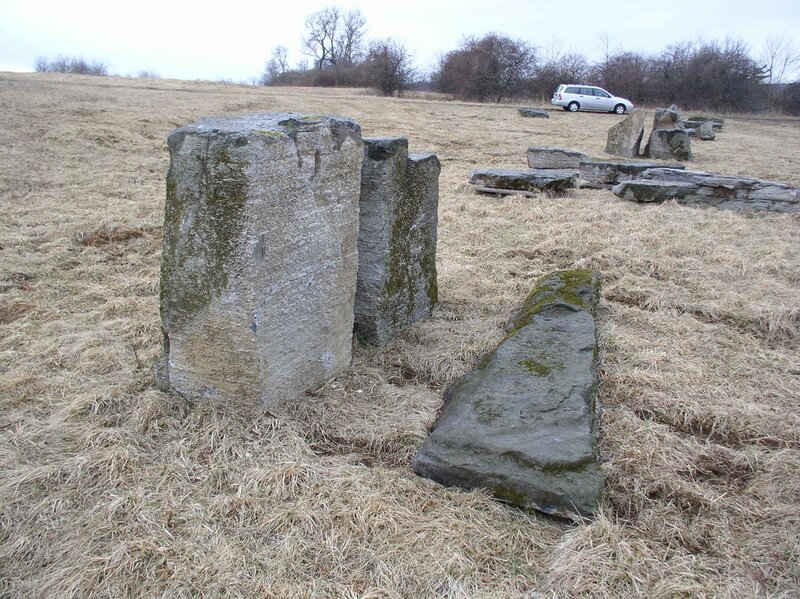 This was my first artistic use of large stones which were salvaged limestone boulders from the Circleville Farm property that was being sold by Penn State at the time. 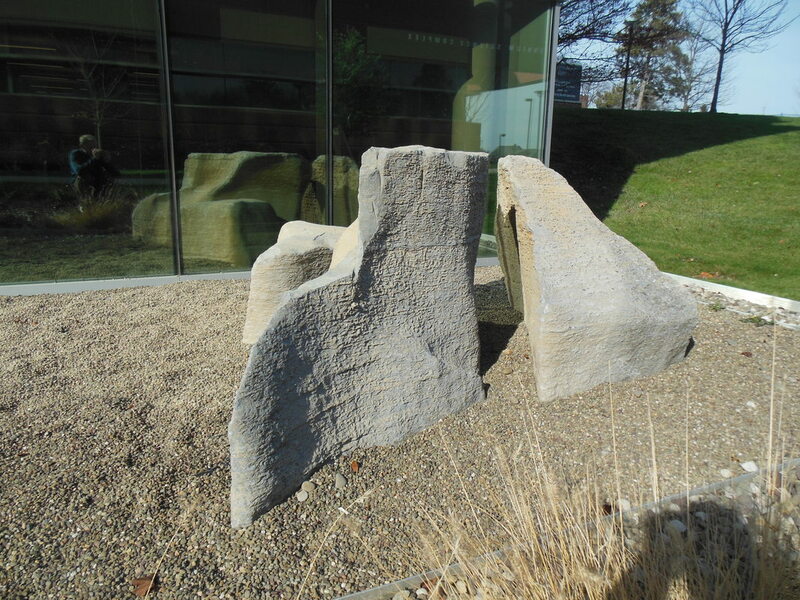 I focused on the creation of compositions with 3 stones per grouping that just felt right together in size, shape, and texture. 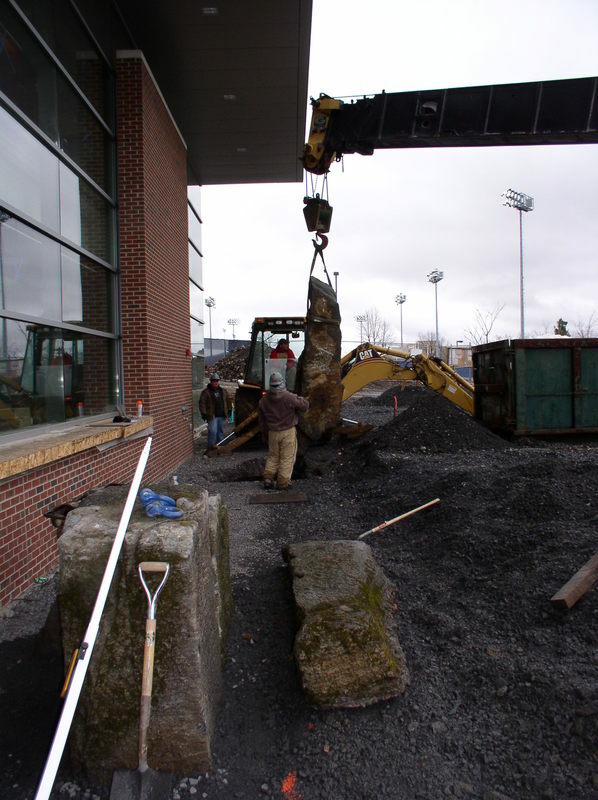 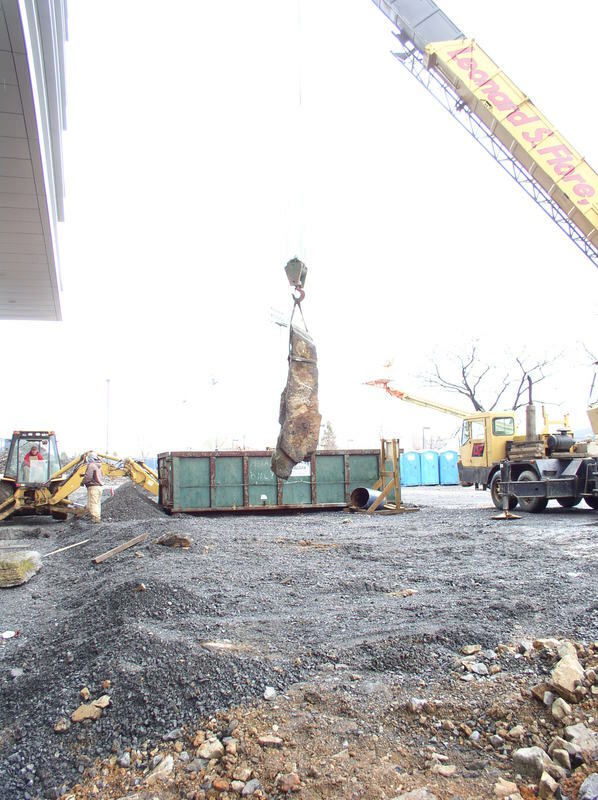 Cultivating a positive working relationship with no-nonsense equipment operators and laborers was key to the success of this project.